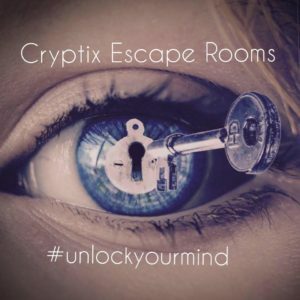 Are you concerned that by opening an escape room business, you’ll be in over your head? 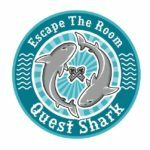 What is the one thing you wish you’d known before you started your escape room business? All in all, 70 owners graciously responded and agreed to share their uncensored insights with you here. We hope that this collection helps you reach your goals! Even now, knowing full well that things take longer to build than you think they’re going to take, I still don’t budget my time correctly for builds. I think “okay, wiring up these electronics should take two hours, so I’ll budget four,” and then when it comes down to it, I spent like, eight hours wiring things up somehow. Sure enough, today I wound up trashing that box and starting over because the next things the PVC pipe I bought was off by a fraction of an inch. Yay! 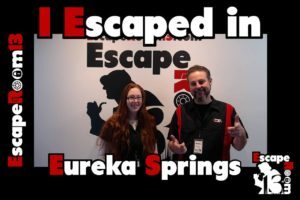 Patrick wrote a guest post for EscapeFront on integrating humor into your escape room! Click here to read it. How much time is needed to learn everything and I mean everything!!! Learning not only how to build out a room, puzzles, marketing, which software to use for bookings, escape room manager, cameras, microphones, bookkeeping, etc. etc. etc!!!!!!! Since our team has brought an idea from Eastern Europe, we were hoping to see that popular themes there will make it a hit in the U.S. but unfortunately, the taste is different in the U.S., and you have to really calculate the risk of what the population is interested in, for a particular area! I wished I would have known how much money I would have to spend on super glue and shelf pins. Starting an escape room was clearly a venture into uncharted territory. How do you prepare for that? No matter how much research, preparation, & expense you throw at it, you are still going to have blind spots. I guess if you boil it down to one thing I wish I would have known how to better balance how much detail you want for your room versus how much the customers need to be entertained. I know 2 types of escape room owners. 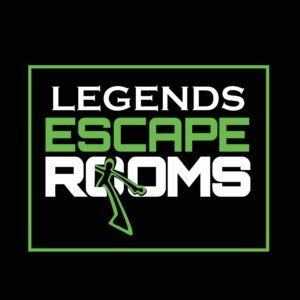 One of which is escape room fanatics and who want their room to be the very best (usually lending to high production cost) and the other being someone who wants to cash in on the fad (revenue driven). I try to be the 3rd type which is to find a balance of both worlds. Create an original experience and make money doing it. Oh, and of course, you can’t make everybody happy. I started building out over 2 years ago. So, there were much less resources available then. First, it takes money to make money. This is not a get rich quick scheme. People that say they paid back in the first 6 months probably have a mediocre room at best. While I would consider my business “profitable,” the true cash flow won’t pay back what I have invested for at least 2 years. Some places are starting to build $150k+ rooms. garage/living will likely cause pricing wars in the next 2 years. Beta test, beta test, beta test. I would actually recommend having 2 rooms mocked up and built in your garage/living room / etc. before leasing anything. Join the communities and attend a trade show. If attending a trade show is too expensive, don’t open an escape room. I built my room in a bubble and didn’t realize there was software and other owners would help me. My biggest issue was our employment pool is very shallow, and finding good help to rebuild the old building took forever. The fact that you can’t just throw an ER together. They actually take very careful planning and work. From finding the right couch for a room to the lighting and paint. Every little detail looks from the outside like it is very easy and a lot of times cheap. But in reality, is extremely time-consuming and expensive. A great example is a desk we have in one of our rooms. We wanted a well-worn but more modern wood desk. We shopped many thrift stores until we found one. Then we had to nearly rebuild it from scratch so that it would withstand the punishment of hundreds of people not only using it but misusing it. I.E., standing on it, climbing on it, sitting on it. All of that while keeping the rundown look it needed. One of the greatest compliments we ever received was that some of the stuff in our room looked like it came from the Salvation Army. LOL. It meant my job was done right. But at the same time kind of hurt because we put so much work into it. I think the one thing I wish I knew beforehand is constructions tricks. These are things you learn along the way, but it would’ve saved me a lot of time during the building phase if I knew some of them ahead of time. For example, the distance sprinklers have to be from the wall, the type of lumber needed if you use wood to frame new doorways, best drill for drilling through concrete. Those kinds of things. 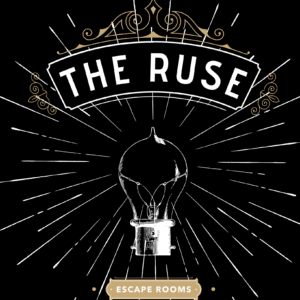 The main thing I wish I had known was how much work it would be to start and operate an escape room. I don’t want to sound like I thought it would be easy to start my own business. I have many friends and family members who own their own businesses. I see how hard they work, and I was prepared for that. What I didn’t know was that it was 10 times harder than I anticipated. 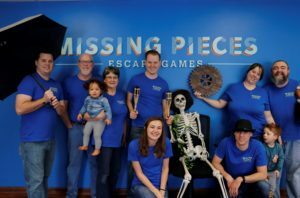 I own Missing Pieces Escape Games with my parents and siblings, but I also still work my full-time job. That means I work my “day job,” then I come home and work on the business side of the escape room in the evenings, usually until midnight or later. Then on Friday, I go straight from work to the escape room and work on site through the weekend. I knew it would be a lot of work, but looking back, I didn’t even know the half of it. There is always more to do, more ways to improve, new things to tweak and focus on, and new problems to solve. And with a wife and two kids under 3, the schedule is grueling. My advice for potential owners is to prepare yourselves and be realistic about how much you will be working if you want your business to be successful! Starting your own business takes a lot of hard work, and what they say really is true: entrepreneurs are the only people who work 80 hours a week to avoid working 40. 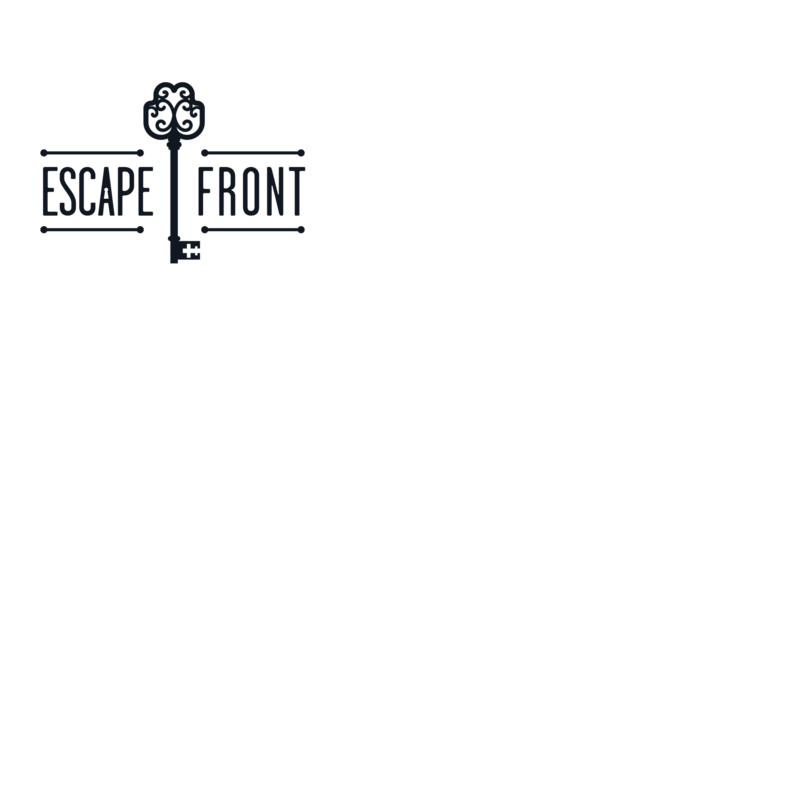 Dave & Michael from Missing Pieces wrote a guest post on EscapeFront that’s all about escape room automation. Click here to read. The one thing I wish I knew before getting started would be learning any restrictions in code before building. It would have helped in the planning of the Room and saved a lot of time altering plans and compromising with code. 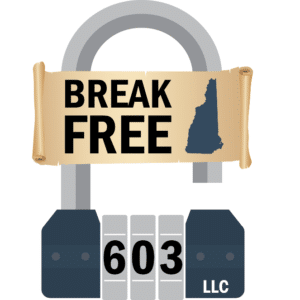 Check out this great post by Zachary Strebeck – Attorney At Law that covers licenses, permits, and a whole lot more to help aspiring escape room owners get started. 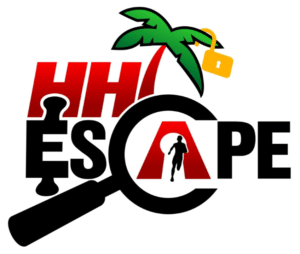 I wish I knew that ALL escape rooms in Pennsylvania are regulated by the Pennsylvania Department of Agriculture and someone in my organization MUST become a certified inspector to inspect my attraction DAILY then submit a monthly report each and every month for the rest of my operating life. I feel like I now have a child I have to feed! I also didn’t realize how many hats you need to wear or the full extent of work and time, but I am unfortunately a hands-on operator, so that, of course, makes things harder. Not all real estate is created equal! When we were searching for a location for our escape room, we knew we wanted to be in a popular area in our city. Business real estate agents helped show us potential places. Almost every place had something wrong with it: too expensive, awkward layout, unfriendly landlord, etc. We are so thankful we didn’t settle for any of the uncomfortable options. We ended up taking a risk by working with a popular block next to a University. We always thought the price would be ludicrously expensive, but maybe it would work because we would get a lot of students from next door. We were wrong on both of those assumptions. Rent is cheaper than downtown, our landlord paid for the build-out of the property, 3 new AC units, and we only get a handful of students (which is fine). We loved our landlord before they were officially our landlord and that’s an awesome sign. 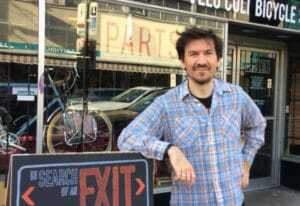 Landlords should be excited to have escape rooms as tenants because we bring in business and constant traffic to restaurants and cafes nearby. 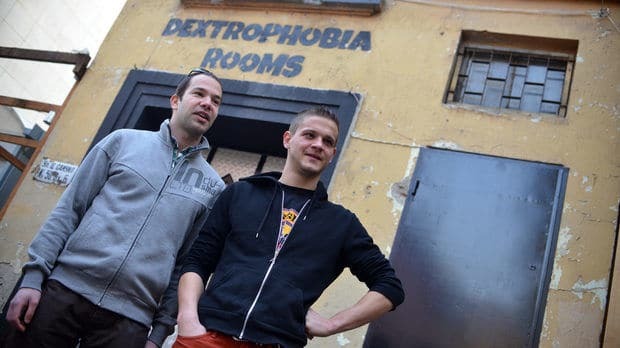 If a landlord seems put off by escape rooms, see ya later! I wish I knew that sooner because I’d save time on one of the most stressful parts of opening a business. The building we rent from has a very spacious but one-person bathroom. When you have a group of ten starting and every one of those ten needs to use the restroom, it can be a long wait. If we had thought about this, to begin with, we would have rented the building next door. 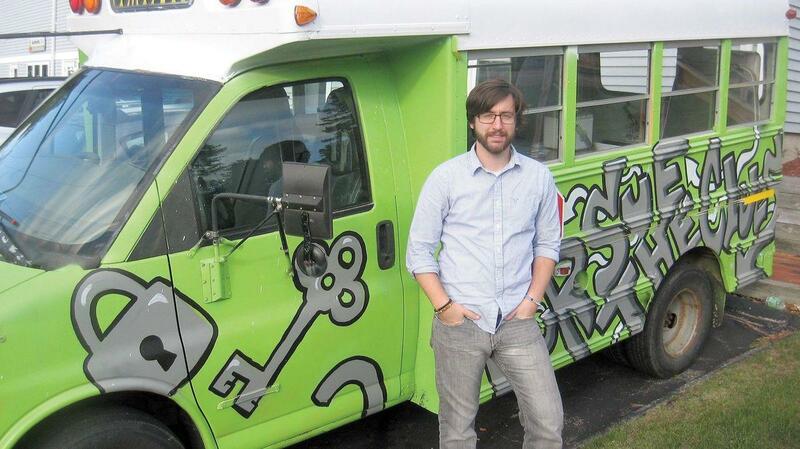 I wish I had known how many escape rooms would be opening in my area over the next two years. I would say the biggest thing I wish I had known before opening would have been to have more square footage in my current space. 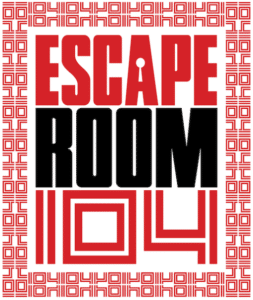 I have roughly 1,000-1,200 SF and currently run two escape room experiences. Don’t get me wrong, we absolutely love our location. We’re located in the heart of downtown Wilmington, which is a very high traffic tourist destination. However, our square footage limits our capability of how many people we can hold in a day with just two rooms. Often times, we have to turn people away because we are at max capacity for the day. Another downfall of our small space is not having a large conference room to host corporate groups or birthday parties. With that being said, if we plan to expand in the future, this will absolutely be something that I keep in mind. I pose this as a piece of advice for anyone interested in opening an escape room facility themselves. If there is anything I wish I would have known before starting, it might be how to find affordable room ideas for sale as opposed to ones that cost $10,000-$20,0000. So far, our rooms have been completely organic in the sense that the owners and I have designed them ourselves. We spent three weeks beta testing our first room, and it took all of that to get it to run at the level of quality we demand. This is particularly important if you are designing your own game and puzzles. People may or may not interact with them the way you intend, so adapting to the players is key. It doesn’t matter what makes sense to you, and it matters what makes sense to the masses (and guess what, the masses aren’t always the brightest). If your game design is not foolproof, and I mean foolproof, disaster awaits. It’s not about how it breaks, it’s about when it breaks. This is the cornerstone of how we built our rooms. People are destructive even when they don’t mean to be. When building a room make sure you have back up of everything and that you make the room as bulletproof as you can. We already knew this going in, but I still think its super important. The one thing we learned is that a puzzle doesn’t have to be complicated in order to make it cool. There is a lot you can do with some basic 12v wiring that can help create some really cool stuff. This leads me back to my first point. 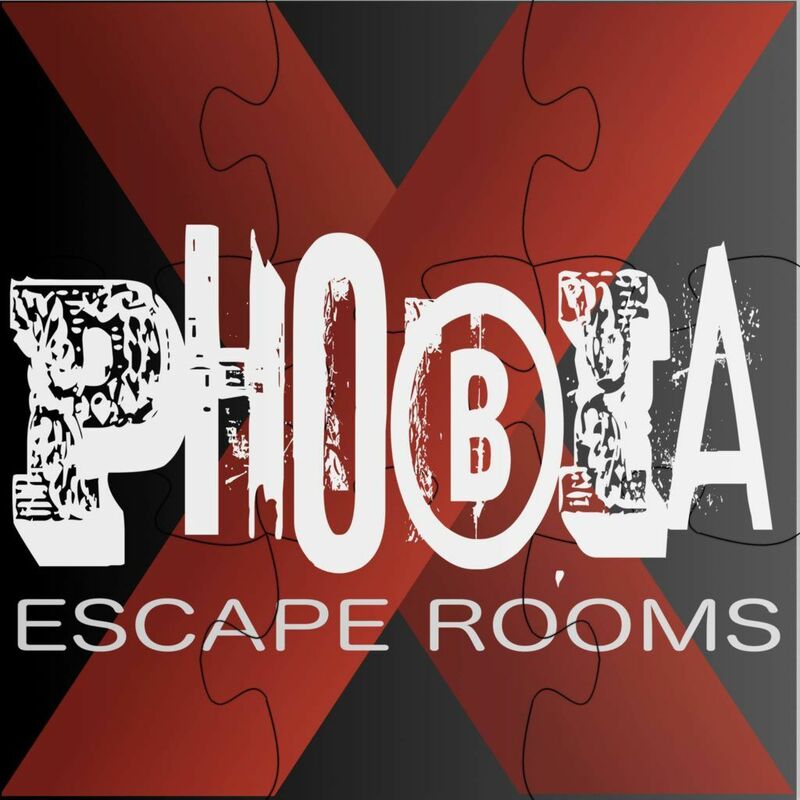 Things will break and the more complicated the mechanism, the harder it is to fix it, and if you have another booking in the room right after you don’t want to have to miss out on any business or put a bad taste in somebody’s mouth if it is their first time at an escape room. 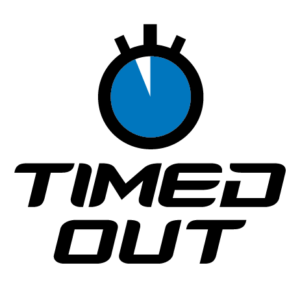 When we opened, we began to realize the escape room owner crowd was heavily divided between those who were “investors” (bought and hosted games as a good business endeavor) and “creators” (created games from scratch, usually to satisfy a more personal expressive need). We mostly fell into the latter category, although we were lucky enough to be located in a tourist-heavy area of our state (i.e. very supportive of new forms of entertainment). The one thing I wish we had known in building our business from scratch was how important story is in these games. We have been open roughly two years and have created five experiences. Obviously, we are still constantly trying new methods of production and gameplay, but the one constant we have found that can support building a room on a budget is consistency in the story. In fact, one of our strongest and most popular games is the first game we ever built. It has an excellent linear progression, and we worked really hard to make sure the puzzles fit into the environment we created. Using the story to add depth to your game really completes the immersion for your players, and it leaves the impression that what they have paid for is a high-quality experience. We have tried incorporating methods or ideas that other owners swear by, but they feel almost forced at times in our other rooms.  At this point in our business, I can 100% stand by the idea that sacrificing story and consistency to stay up-to-date on the newest trend in escape rooms will only lessen the quality of your game. Focus on following your theme, and the game will create itself. 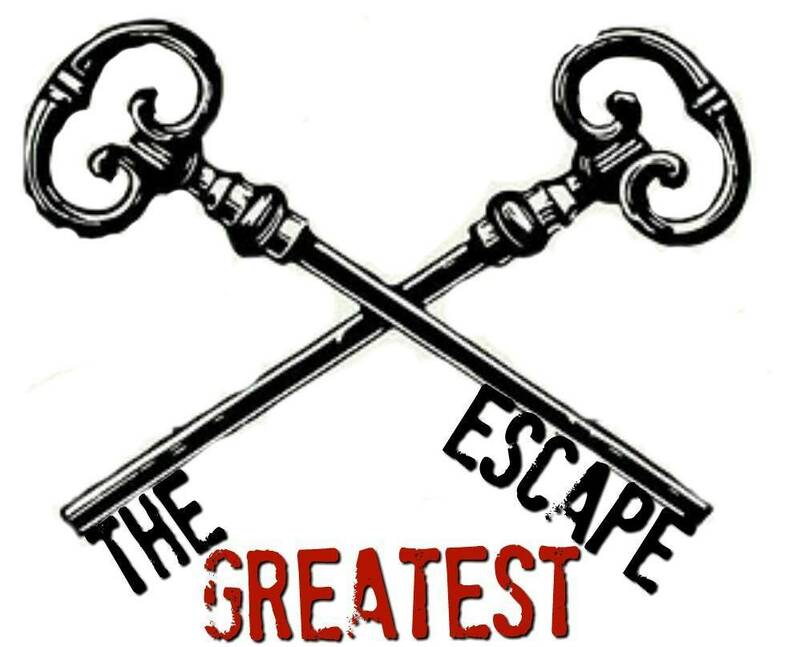 I can’t think of anything that I wish I had known before opening an escape room, but the one thing I learned that is important before opening an escape room is to make sure there’s no possible way that people can skip over clues or bypass anything when you set up your rooms. 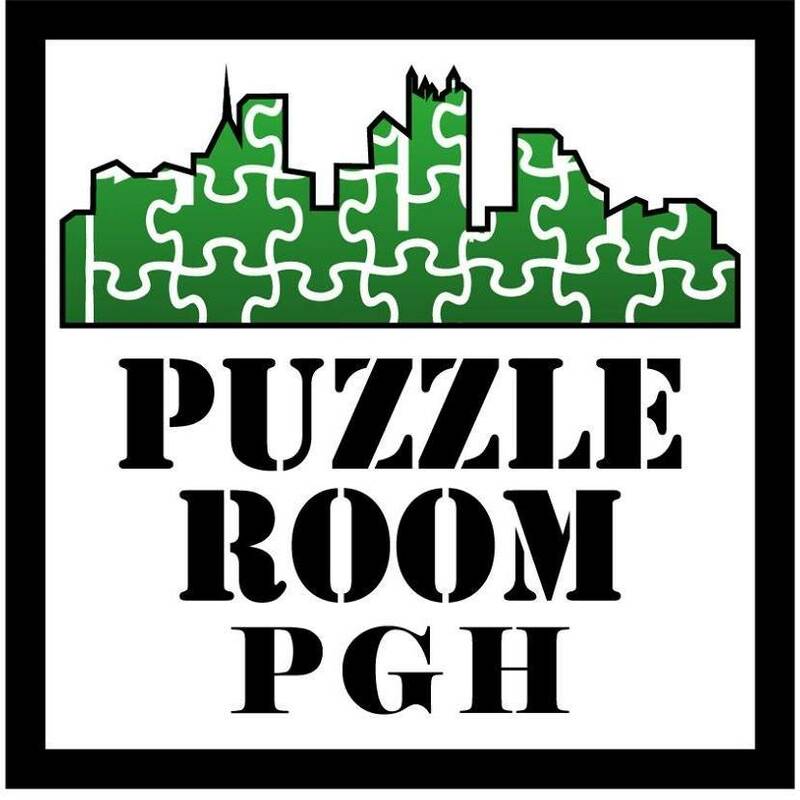 The one thing I wish I’d known before beginning our escape room business is how difficult it would be to develop the puzzles for each experience (room). 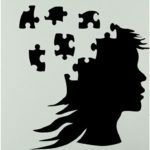 Our team can be stumped for weeks or even months trying to come up with a puzzle that meets all our criteria (for example: requires analytical thought and involves multiple people) and is plausible within the story. It is not an easy task but we do not compromise on our criteria or take shortcuts on our puzzle development though it is tempting. This is how we hope to stand out from the crowd. We wish we would have known how group dynamics work. It took us a while to design puzzles in such a way that we can steer the group behaviors the way we want in order for the layout of the room to work well for a group of all sizes. This sorta follows #1, in that we wish we would have known that enthusiasts approach rooms much differently than new players. We have since figured out a happy medium so that the rooms are appropriate and likable by enthusiasts and noobies alike. How differently people think to do things. We wish we would have known all the weird ways in which players think to solve puzzles earlier on so we could have jumped into predicting the different ways things could be done in the rooms right away. Lastly, we wish we would have known the amount of work that marketing takes. Word of mouth is not always enough! If there was one thing we wish we’d known before starting, it would definitely be the difficulty and attention to detail involved in coming up with themes and puzzles for new rooms. 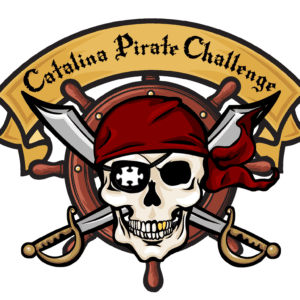 It’s hard enough to come up with new, exciting, engaging, and immersive themes, but the hardest part is putting together puzzles that are not too hard but also not too easy, so players will take up the majority of their hours’ time, while making sure all the puzzles flow together well and fit the overall theme of the room. Click here to check out our other round-up post where 29 owners explain how they get ahead of prop breakage. I think the main thing I wish I had known would be how customers can really wreck a room, leaving your time to reset a very uncertain variable. Some groups – actually, the more successful ones – are very neat. Others have literally moved everything they think they are through with into a pile on the floor. I have had to adjust my booking times to allow for this factor. I did a lot of research before opening and hired another escape room entrepreneur as a consultant. She was awesome and helped with virtually everything else. That’s the only thing I can think of she didn’t mention. How rough customers can be on props/equipment. Not only from an inconvenience and cost standpoint but how necessary it is to design the rooms in a fashion that anticipates this. How do I design props/puzzles that can stand up to thousands of customers a month? I wish I knew that the quality of most props is not the best or at least not made to withstand the abuse they take from guests. We design our own rooms and purchase props from various vendors. So far, I do not think any of the props we have purchased would have lasted longer than a month without some creative measures on our end to “beef them up” if you would. I wish I would have known how game props/items/etc. in the room would be abused and mishandled by customers. I have learned that you can’t expect customers to delicately use the tools and props in the game. So, it is best to account for “depreciation” costs; to be prepared to replace certain items as they are broken and worn out over time. If you don’t like fixing things or are not handy then this may not be the job for you. Things will break, and often. No matter how much you reinforce or secure props, furniture, and items, guests will still find ways to break them. I was not expecting how good I would get at fixing things quickly in between one group and another. Before starting my adventure, I always read to keep 2 or 3 extras of props but I did not expect the same for furniture as well. Guests will inevitably completely remove drawers, then damage the rails when placing them back in, if they don’t damage the drawers themselves as they discard them upon realizing there was nothing hidden behind them. Even when guests are gentle with everything, wear and tear will build up after a few hundred guests as well. Every quarter we shut down for a day or two to repaint just about everything in the room to cover up all the scuffs and scrapes that build up. You will need to be handy, sometimes needing to think outside the box to patch the object until you have time to fully repair it. Some may say that this whole problem is a symptom of shoddy workmanship or cheap furniture. They may be correct in some cases, but in the infamous words of Jeff Goldblum in Jurassic Park “Life finds a way”. Life finds a way, and so will your guests. One thing I wish I knew: Have backups over everything! You’d be surprised how frequently things break. I wish I had known more about taxes and accounting. While this may not be the most glamorous of answers, it’s become one of the most vital parts of continuing to operate a successful business. 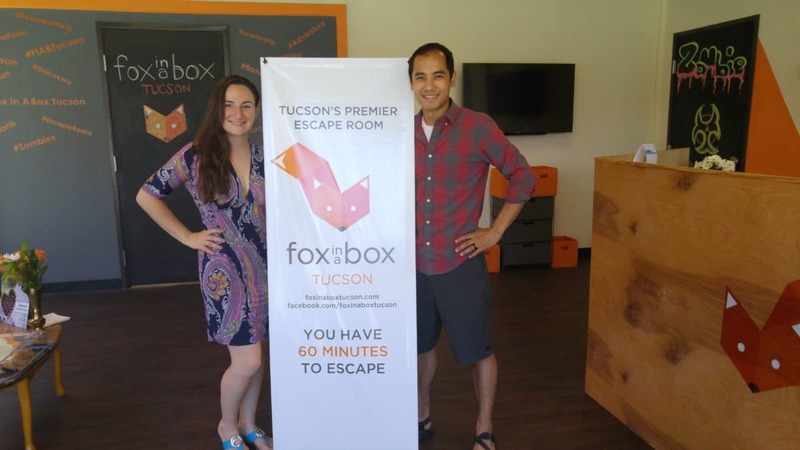 Escape Rooms are tremendously popular, and that notoriety merits tremendous financial success as well. I would have been so much better suited as an owner to manage Surelocked In Escape Games had I known more about the ins and outs of managing the books! 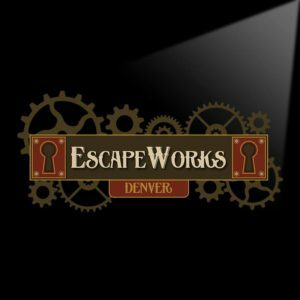 Escape Rooms are a business foremost. The fun and creative adventure generated by room design and development is secondary to success. The rooms must be excellent, but running the business from finances, operations, marketing, and customer service comes first. I wish I would’ve known all of the unknown costs. For example, $4,000 for the sign on the front of the building. $2000 for the video and security system. As a new business, a lot of the companies you deal with make you pay a year in advance. So, things like your liability insurance or security monitoring that have a lower monthly fee become a large upfront cost when you have to pay for the first year in advance. We had at least $10,000 in unexpected costs. It isn’t one thing, but two, that have proven most eye-opening: time and money. The magnitude of the startup costs (architecture, branding, construction/upfit, signage, furnishings, insurance) far exceeded our initial forecasts; in addition, the amount of time it has taken (commercial leasing process, site design, landlord review/approval, permitting, etc.) have extended our timeline significantly. If you are going to start an escape room, both your wallet and your patience will be well tested! I wish my original business plan included opening 3 games at my location and a six-month plan to open in 4 additional cities. I wish I knew just how much paperwork is involved in a new business. Forming an LLC, state registration, federal registration, tax forms, bank forms, insurance forms, building permits, inspections, workman’s compensation, etc. Just how hard is it to find a good location and to find good help. But it is all worth it seeing your clients having a blast playing your games. I wish I knew that I would immediately have to start building more new escape rooms because the people just keep wanting more! Right when I thought I was done with building our game, I found myself already starting a new one. I wish I would have known the lead time for a sale is longer than most businesses. Because most people need to coordinate a group to play. The one thing I wish I knew was how busy it was going to be. Of course, we all hope that new business is a success, but when you start a new business you don’t want to be too heavy with employees and cost. By the time you realize you need help it is too late. 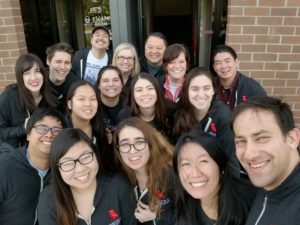 Training employees to run an escape room is not too difficult, but it is not something you can do over the course of the weekend. The goal is to be able to have employees run your business when you are not there so you can have some time off. The time it takes to train employees to reach that level can take quite a few weeks. So, I would suggest biting the bullet and hiring at least one employee who is going to be your manager of the business. Let them experience the business from the beginning so they understand the ups and downs and problems better. The more they know the better they will be able to teach new hires. I wish I had known escape rooms are only consistently busy on Friday and Saturday nights. I have been to horrible escape rooms and amazing ones. I can have fun in either depending on the group I am with, but what I never forget is how I was treated when I walked in. The room is the star and if it is done well it will hold it’s on, but your game guides/game masters have to be able to deliver. They are the first and the last thing people see when they come to your facility. Amazing customer service can make up for lock malfunctions, magnetic locks failing, and even not escaping. The most important thing I wish I had known is…How hard it is to find and keep good employees. My biggest struggle has been hiring engaging, dynamic staff who will stay around. I’m located in an affluent suburb, not near a university, etc. so finding people who will work hard at a part-time position is rough. I hire a lot of high school kids, but because they don’t HAVE to work they lack dedication and will quit at a moment’s notice. I even had one quit in the middle of the shift because she got a call about a last-minute party! We jumped right into tech. Our rooms have run automated from day 1 in 2014 with our own software built in-house from scratch. Every game since our 2nd game has had zero locks in the rooms (our first only had 2). Our 4th game was reset-free (and subsequent 5-8th games as well). There have been tremendous trials and errors associated with developing our own tech on that level and we really didn’t dial it in that well until our 3rd or 4th rooms. I wish we’d had a successful electrical engineer on our team from day 1, it would’ve really helped us reduce the learning curve and get to where we are today faster. The one thing I wish I had known is that I should purchase the web domains of my company name backward and forwards. This caused my branding campaign to fail and although we are successful I will always kick myself for not purchasing all the names backward and forwards. One thing we wish we had done was to find some easy method of adding new wiring to our escape rooms as needed. This isn’t difficult with drop ceilings, but we don’t have that — so often we’ll say something like “wouldn’t that be great if we had an ethernet jack right there?”. PoE [Power over Ethernet] cameras have been great for us since we don’t have to deal with spotty Wi-Fi reception when we use them, so it would be very helpful if we could wire up a new jack without much effort. Probably the biggest issue for me was being able to identify reputable suppliers and scenarios that tell a story and make sense. There are probably more subpar suppliers and people trying to take advantage of the sudden industry growth and basically stealing money with bad scenarios and props. Do your research and only use reputable and highly recommended sources. Of course, the best way is to develop your own unique scenarios and puzzles but everybody needs a little creativity boost from outside sources one in a while. I had experience about starting and running a small business and I did A LOT of research and attended the TransWorld conference and attended lots of seminars and talked to a bunch of people. So, I had few surprises except those I was told to expect like it will cost double whatever you think you have budgeted. Even that was right on. But I did need more information about hiring consultants to help with my room/puzzle design. 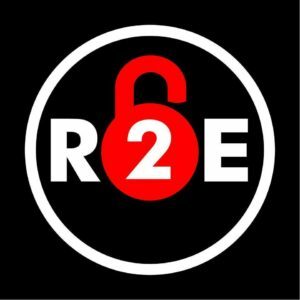 There isn’t a lot of organized information or reviews of much of the Escape Room “Support” Industry. I’m OK with what I did in that arena but it was a little harder than it could be. The one thing I wish I had known more about before I started is social media marketing and how to leverage it to drive business. Facebook seems to be one of the best marketing avenues but it can be tricky. Branding and Marketing are KING! I am definitely an individual who is willing to make things up as I go, am more of a “doer” than a “planner/thinker”. 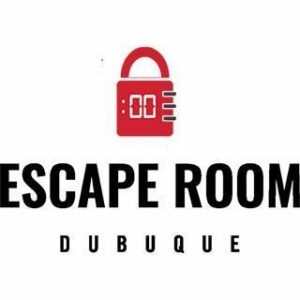 As such, it has allowed me to get an escape room up and off the ground completely solo in the beginning on a limited budget, to an escape room that now employs 10 people. I see it as a complete strength, but like most strengths, they can also be your weakness. Additionally, as a result of this “do first ask questions later” mentality that I can get into, I have run into many hiccups with branding and marketing. Originally named SherClock’s Escapes, we were a puny play on the fact that you are racing the clock and we are a detective agency where you help us solve a case, rather than escape a room. We had villains that we were investigating such as Jim Moriartist (in the case of The Photo Lab), and Irene Addlesme (in If You Can’t Stand the Heat). Even to this day, we have most definitely used humor as a large part of who we are as a business, however, people were getting caught up on the name. What was meant as puny and witty and slightly different, ended up being a misunderstood mouthful to say that people were constantly asking for the spelling of/misunderstanding the name/assuming the name was actually Sherlock’s Escapes (which of course is what we are now). Signage, business cards, emails, websites, etc., it all had to change. What started out as a dilute and weak attempt at branding started to filter into the identity of the business. There wasn’t a sharp image as to what Sherlock’s Escapes truly was trying to do, what made us unique, what the distinct selling points of the business were. Having a sharp and clear image of what your brand is in your mind, and being able to relate that image, is what makes for much easier marketing. 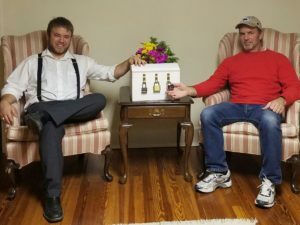 Thankfully, the business model here at Sherlock’s Escapes was to build it all first, get some word of mouth buzzing, and then focus on marketing. 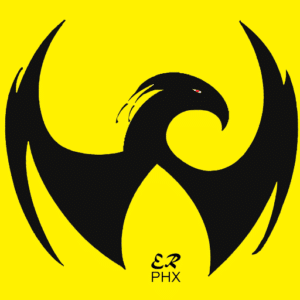 As a result, there wasn’t too much of a need for altering the public perception of the brand as there wasn’t a large number of people to convert the minds of yet, but I can only imagine how difficult it must be for big corporations when mergers happen. Does anyone remember the TD/Canada Trust merger for example? I used to have accounts with both banks, and somehow just 5 years after the merger I was no longer banking with either institution. Needless to say, getting a sharp vision of what your business is all about, creating an attractive and memorable brand, and then marketing the hell out of that brand (hopefully in a variety of inexpensive ways) …it really does make a difference! I know I came in thinking that the name of my place was just something fun and witty and that things like color schemes and themes to rooms were just going to be ad hoc types of things. After all, I was selling an escape room, right? That is the selling point, right? If only I had known better, at least I figured it out quickly and without much for growing pains. 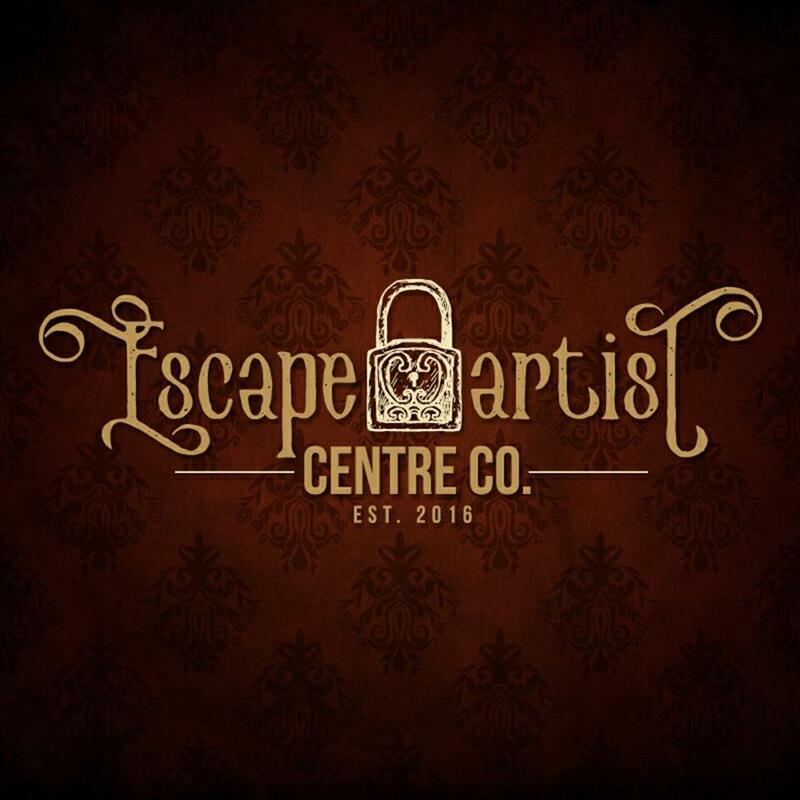 I think what I wish we had known before opening was how hard it would be to promote our business in an area that still doesn’t really know what escape rooms are and how much effort you have to put into explaining to people what an escape room is. Once they try it they love it but it’s a job sometimes to convince people to give it a go. I did a ton of research before opening, was very little surprised by what I had to overcome to open, and have had several businesses before this one. What I do wish I had known was how much of an impact Groupon would have on this industry. Its rapid rise and penetration have nudged out Facebook, YELP, and Google. I think it is incidentally lowering expectation and entry prices. Charles is an EscapeFront contributor! Click here to read his articles. I wish I knew that there are so many fake ad agents who just take your money and do not deliver. The thing I wish I knew before starting my business, and perhaps still struggle with, is how to spend my marketing dollars. Which marketing avenues are the best ones in terms of ROI (return on investment)? There are so many choices and I get calls all the time about new choices. Digital ads (Facebook, Google, Yelp)? Print ads in magazines and newspapers? Direct mail? Shopping carts? Posting flyers? Radio? Movie theaters? Theater programs? The high school sports team’s jerseys? Mall directories? Coupon books. I wish I knew more about SEO, search engine optimization. The majority of our customers find us through the internet. When we’re just starting out we would not appear in any internet searches. It took a while before Google’s search algorithms started to notice us. 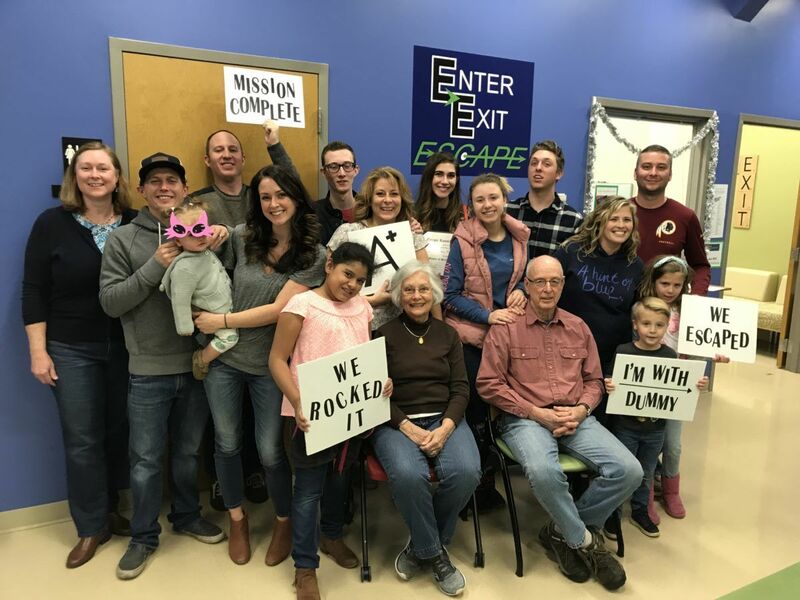 We were tempted to go with Groupon for instant exposure to millions of customers but fortunately, some other escape room owners clued us into the fact that Groupon is not the best financial decision. After discounting your admission by 50%, they take 25% which leaves you with only 25%. And when they post surprise sales, they can take another 15% off without notifying you, leaving you with 10% of your original price. We found a better way to get noticed was to just pay for a short-term Google adds campaign. It makes it so your listing appears at the top of any searches. Once we started to appear normally, we canceled the ad and things started to take off from there. I recommend avoiding Yelp ads. If you don’t keep advertising with them they move your listing to the bottom of search results and they make any negative reviews of your business appear first. Watch out also for their automatic renewal to your credit card. We found that out the hard way. Keywords placed on your website helps with SEO but not as much as it used to. What works better is fresh content, social media, link building and positive customer reviews. These have really driven our business. We’re still relatively new. The only thing I could say for sure is that we should have started advertising long before we opened. 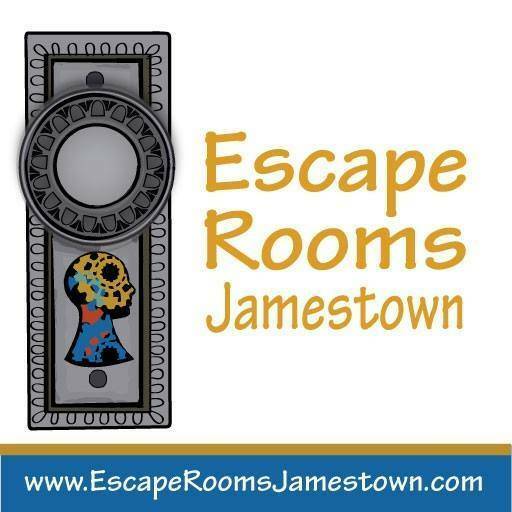 I wish I had known just how many people in our small city didn’t have any clue what an Escape Room was! 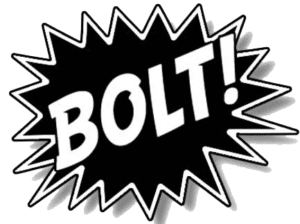 I guess one surprise for us is how much follow up and sales effort is needed to get business groups in for a teambuilding event. 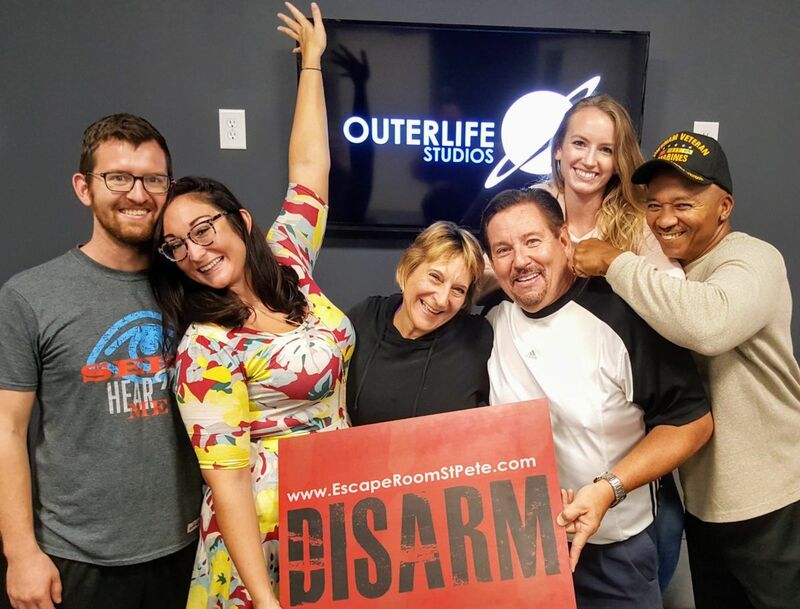 Of course, WE know how awesome an escape room experience can be and how it naturally lends itself to teamwork goals like effective communication, drawing on varying skills of participants, working together toward a common goal. We figured when we put this in front of people through various marketing efforts, they’d immediately recognize the benefits and uniqueness and get right in. But even groups that have contacted us about bringing in their group for corporate team building have needed lots of nudging and pushing and convincing. The one thing I wished I knew before opening was what are truly the best ways for an escape room to market themselves. Since opening, I’ve gotten several calls per day from companies claiming that they can increase my business. I wish I knew the tried and true ways so that I’m not wasting time and money on resources that won’t make a difference. One thing that we wished we knew before we opened our escape room was how important that advertising was going to be to our business. We never had an official grand opening; but, instead just opened our doors and started accepting bookings. This certainly led to a few slow months in the beginning! In the ongoing months, our advertising is really what has kept our business busy, our customer acquisition steady and continuing to bring back repeat customers to do the rooms that they have not yet done. However, everything comes with a price! Budgeting for advertising, especially when starting out, is very important! My main challenge is marketing. It’s very much a chicken or egg problem. Do I spend a lot of money to get really nice marketing collateral created or do I make some graphics on Canva that aren’t so great? On the one hand, I don’t want to spend money that I don’t have, but on the other hand, a nicer set of marketing collateral will result in more bookings, which should pay for itself. Do I spend money to hire a social media marketing consultant or do I waste time learning how to do it all myself? Is social media the way to go? Or should I do a big Google ad campaign? Or should I focus on getting TripAdvisor/Yelp reviews? Or should I try partnering with local businesses to refer each other? Or should I do a little of everything? Marketing an Escape Room has been challenging. 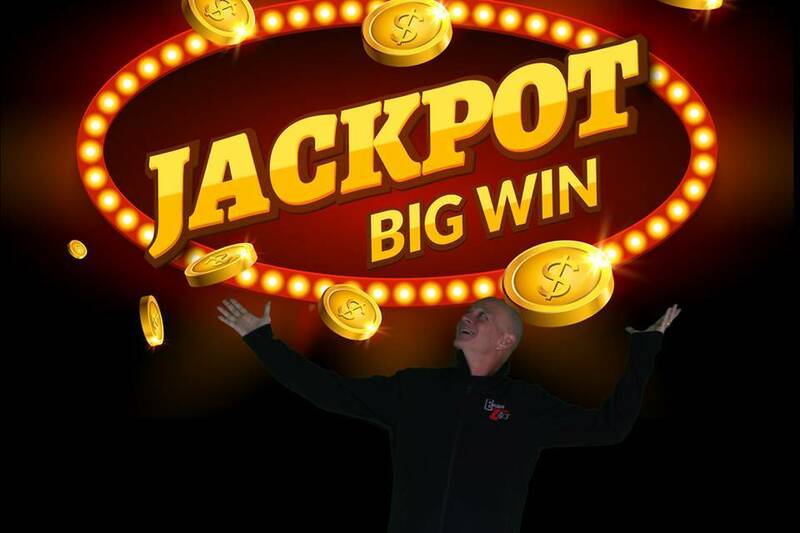 As a new owner, I pursued, radio, television, social media, concierge services etc. However, there is not a good way to track which marketing source is actually worth the money. I decided to begin polling my clients as to where they heard about my escape room. Here is what I found out. 60% read it on social media or found it by being friends on Facebook with a previous customer. 20% found us on Google or TripAdvisor. 10% stated either radio, TV, or newspaper. 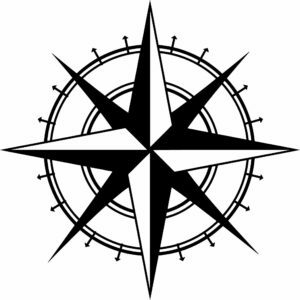 Although unique to a geographical location, a research study on marketing for escape rooms would be of great benefit. 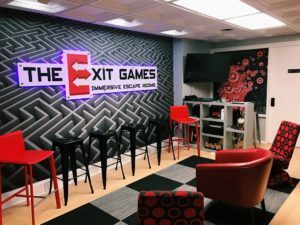 This is a relatively new concept for the United States and many have not heard about escape rooms. It is time that we in this industry come together to educate our populace. Don’t spend all of your money to make your games safe, hi-tech, fun, engaging, easy to reset, not full of red herrings, decorated to fit the theme, etcetera. The vast majority of Americans have been symmetrically engineered to not appreciate quality. They will assume everything they spend money on will be mediocre at best. 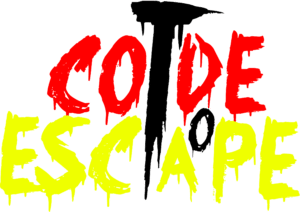 When they see a price point that exceeds their expectation of mediocracy without being able to see the product (escape rooms are secret after all), they will demand a lower price, or worse yet, go to an escape room that copies ideas and themes. 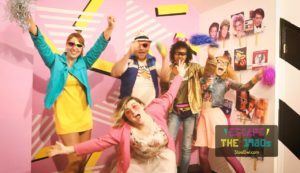 There is nothing worse than pouring a lot of money, time, and effort into something exciting, just to see your customers visit a thrift shop escape room instead of your amazing product. Eventually, an owner will have to bite the bullet and sign up for the death of the escape room community, Groupon. Now I understand that Groupon is an advertising tool that we can use to generate a flow of customers. The devil really is in the small print though. Groupon will keep 70% of the money earned after their ridiculous discount. 20% of that will be paid back after several months, so after 4 months you will see 50% after their discounts. Basically, if you charge a fair amount for an excellent product $28, you will end up making around $12 instead of $54. Not bad if you have a thrift shop escape room, awful if you have a great product. Guess who also won’t come back to your other rooms without a heavy discount either? There is also another thing about Groupon that one must be made aware of. Remember how the majority of Americans don’t value quality? Groupon customers can be the worst of your groups. I tend to keep amazing details of each group that visits my establishment. You can’t grow and do better without finding deficiencies, right? 1 out of 3 Groupon groups will break something, show up under the influence, refuse to get engaged in the experience (bad when it’s a mixed group), or steal from you. So, with that amazing $12 that you earned, you will end up spending more money to repair the stuff they steal or destroy. Groupon customers are also more likely to demand more for less, and leave nasty reviews if they don’t get their way. Non-Groupon customers will do the same, but it is far less likely, 1 out of 30 groups. It may seem that I am painting all Groupon customers with the same brush, but again it’s 1 out of 3 groups, numbers don’t lie. 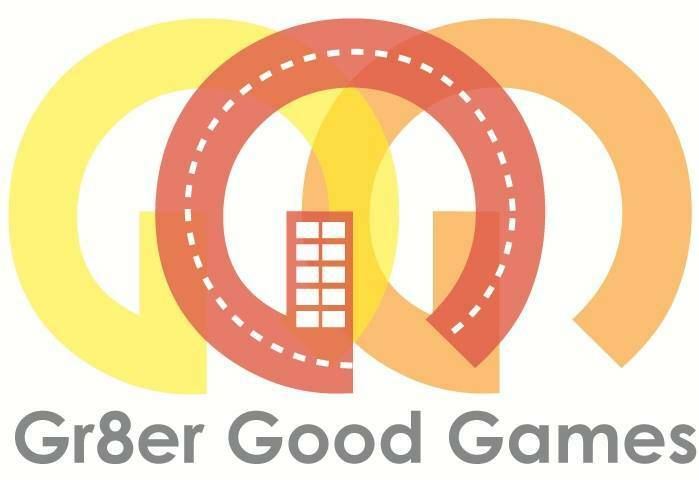 Check Out: Is Groupon Good for the Escape Room Industry: A Closer Look. 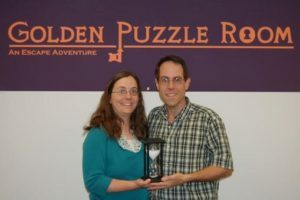 Competition is a good thing for Escape room owners. We all benefit when a new room opens. 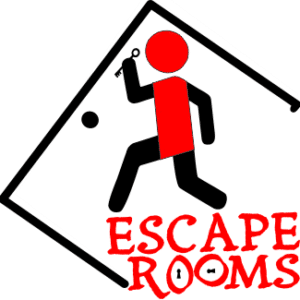 Each new room brings new hype which grows awareness of Escape rooms and in turn gets new players to try it out. A group of those players will get hooked and look for new rooms to conquer growing the market overall. Reach out to other owners and ask for help and give help to grow your business and the market overall. Everyone wins. Click here to read our interview with Brian, where he discusses how he builds engaging puzzles. Honestly, the one thing I wish I’d known before we started was just how amazing the whole experience would be–from learning set creation through trial and error and mild electrocution (you can read about Bayou’s build comedy of errors here), to working closely with my family and realizing just how amazingly talented they all are, to meet the other SoCal owners who are all kind and welcoming and just as dedicated to the craft as we are. But the best part has been the players. They constantly surprise me with their creativity and raw energy and enthusiasm. I don’t think I’ll ever get tired of watching them thrill in their victories and find the confidence they didn’t know they had. 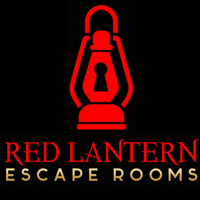 Follow this link to check out Red Lantern’s blog. I’ve been an entrepreneur for quite a while and have owned many successful businesses. 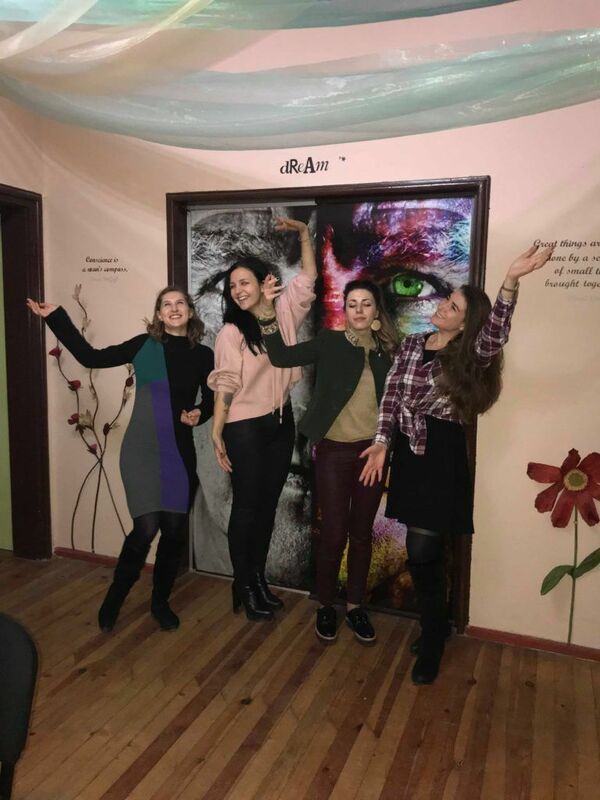 When I opened my escape room, I felt very prepared and supported. Looking back, there really isn’t anything I wish I had known. The support I received from the escape room business association in Sofia also gave me all the tools I needed to be successful. Success follows sweaty passion. Too much time was spent WORRYING if we were sweating our asses off and spending so much time away from family and friends for nothing. If we didn’t succeed it would have all been a waste. I know now that if we continue to work hard and passionately on creating a great experience for our players, we will never need to worry again. I guess the one thing I wish I knew before I began is how many people looked at this industry as a low-cost way to create their own business, thus driving down the quality of the individual games. The quality between one business to the next can vary greatly, and for those of us that have top-tier quality games, it is really hurting the industry to have people setting up a bunch of locks and furniture in the room and charge the same as someone who’s invested much more into their games. 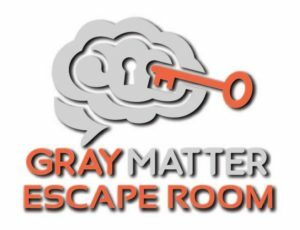 In the next year or two, we’ll see the number of Escape Rooms decrease dramatically, and hopefully the term “escape room” will die, but I wish I knew how much naivety would exist in the industry even still. I wish I would have known how many inexperienced operators were going to enter the market and believe that cutting their price in half would increase business. I wish I knew that it would require more attention than just a hobby. It’s a full-time job and it’s important to treat it as such. I wish I had known more about local zoning regulations. 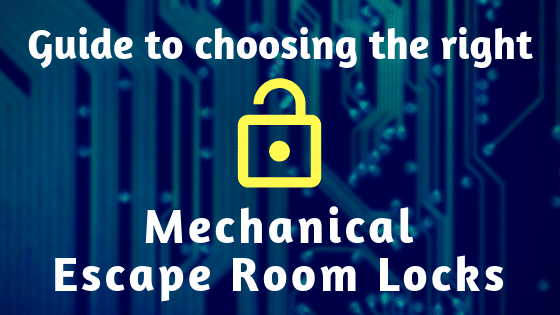 There were only a few open in our state when we opened, and we had to work with local authorities to classify and assign a sector to escape rooms. They initially tried to classify us as a circus which means we couldn’t operate inside the town! (TBH not completely wrong) They were worried about the noise affecting other businesses. We convinced them to classify us as an arcade, which meant we were limited, but still able to operate in town. People can be EXTREMELY competitive, in a very destructive way. We provide everyone with rules, but they aren’t always followed. For example, in one game you have to unlock a door and get to a different room. You can see the other room through a small grate for our a/c system. One 5’2″ woman decided that finding the key would take too long, and she wanted first place. She ripped the grate off with her bare hands and climbed through. All of my staff just sat there dumbfounded. People come prepared. I had spoken with other owners before we opened ours and had heard stories of people bringing flashlights and screwdrivers. I foolishly assumed it was because they were in a big city. That is until I had a customer pull out drywall saw to “check behind the wall” I don’t think I have ever run faster in my whole life. It changes the way you play. 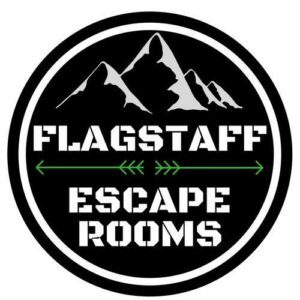 We opened our room because we love the game, and we wanted to share escape rooms with our community. Now we own an escape room, we never have time to play. The closest room is 1 1/2 hours away. When we do play, we do very well. After designing several games for our location and our mobile unit, it has become very easy to “see” the path the designer is taking, and it is hard to surprise or stump us anymore. It is still a lot of fun though! Radio doesn’t work and will cost you a fortune! At least in my rural area, radio produced zero results and cost more than any other advertising I have done thus far. The second thing I wish I knew, double or triple your original timeline for new game releases. If your making quality games that your customers will love it will take about 2-3 times longer than you think it will. I wish I would have done more research in marketing because you can have the greatest business in the world but if no one knows about it, what good is that? I wish I would have known how hard people would be on the items in the room. People will find ways to break everything so when you plan a room have that in mind. The one thing I wish I’d known before I began was how time-consuming it would be. However, we have really enjoyed the results. We opened in May and have done okay. 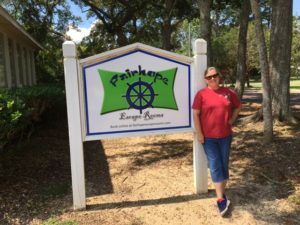 I was motivated to get something going in our growing suburb and not necessarily expecting to retire with this business. I have a CPA practice that I work with during the day and this is my hobby or side business. I used my old CPA office that I was renting out to other companies and it became vacant in January of last year. 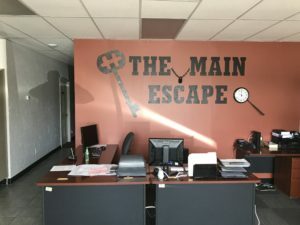 I decided to try opening an escape room because I enjoyed starting my CPA practice from scratch over 20 years ago and I wanted to try to revisit that experience with something new. Also, accounting is frankly a boring business and this is my outlet. I have always wanted to create some form of art and this is what seems to fit my personality best! I love popular culture, books and movies and jigsaw puzzles. The idea of fitting a short storyline into some scenario where people need to solve puzzles to get out is right up my alley. I could never get friends or family to help me with my jigsaw puzzles in the past, but now we have plenty of interest in these rooms. 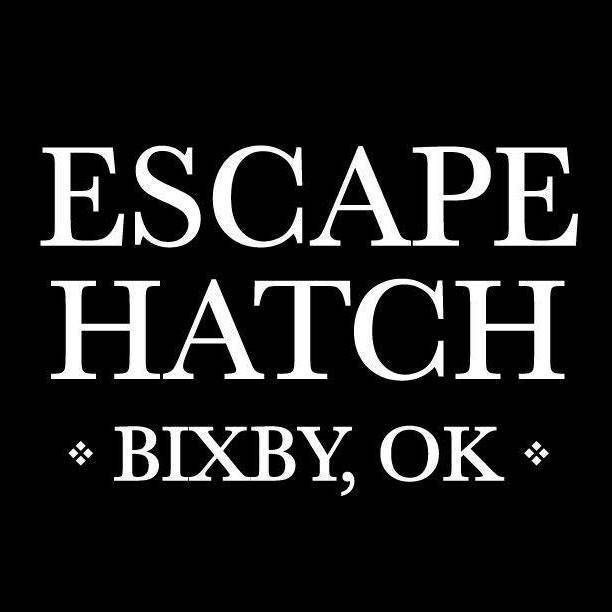 This week, a local television show called “Explore Tulsa” is running the Escape Hatch – Bixby as their weekly show. Also, our local Chamber of Commerce has an annual awards gala and we have been nominated for Best New Business and I am have been nominated for Entrepreneur of the Year. Other regrets that I have before starting is I wish I was more of a fixer upper and handyman. I am dependent on a local carpenter and tech guy when things break down and they are always breaking down. I am better at fixing things than I once was, but as you probably know, things are always breaking in an escape room. 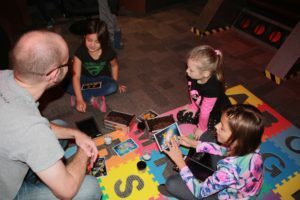 Probably the number one thing that comes to mind when asked what I wish I had known prior to opening an Escape Room is just how quickly they would grow in popularity. Had I known this, rather than having opened 6 locations, we’d likely have 26 by now. 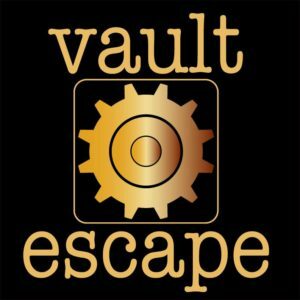 When we first started, Marty (Room Escape Adventures) had about 8 or 9 Zombie locations, and Victor had NYC with another coming soon in Philly. Nate, up in Seattle, had not even popped up on my radar yet. We knew the battle would be educating the market but did not know where the final line would be drawn. It was such a new concept, absolutely unknown to the vast majority of people, that you wondered if it would stick in the US. Obviously, not only did it stick, it downright exploded. Had I known that, we would be in more markets already. With regards to establishing the business, there were no surprises there. 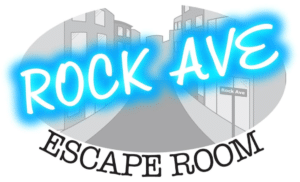 We have other businesses outside of escape rooms as well. 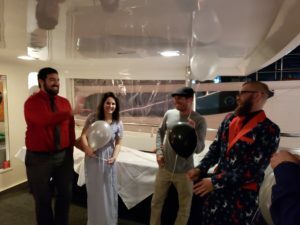 We opened the first brick and mortar escape room that could host a 20 person escape every two hours, but that took a large venue with quite a bit going on. 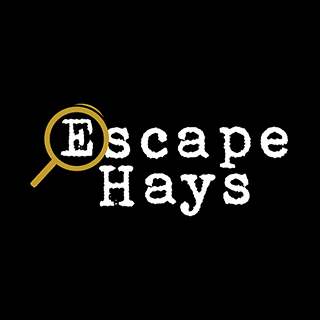 At the end of one escape, one gentleman handed us about 100 screws that he had removed throughout the escape, in search of that hidden something. That was one “get ‘r done” reset for the team! 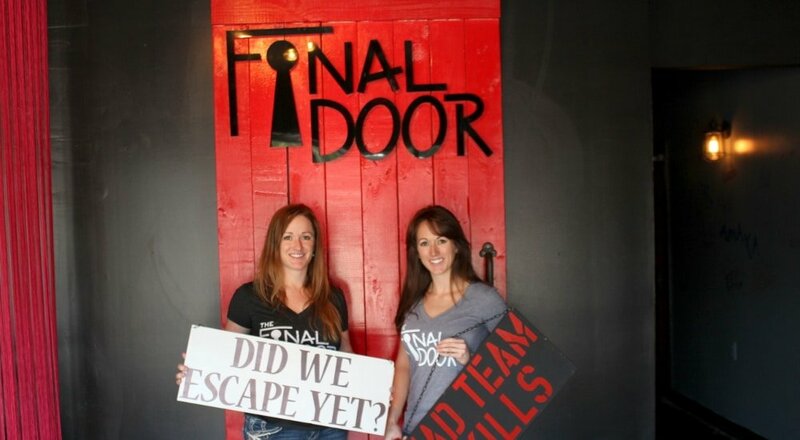 Lastly, I wish I knew how just how creative people can be when trying to escape a room. Folks can be downright destructive, no matter how clear and concise the “rules” are. It is absolutely imperative that you plan it, design it and build it properly. I have seen way too many “wantrepreneurs,” play a few (or many) escape rooms, fall in love, and open their own with little to no business experience. I have witnessed several fail and close their doors. Additionally, I have played some of these rooms and walked away bloody or scratched by a sharp object that was in the hole they want you to put your arm inside to retrieve something. Plenty of blogs have already been written on this topic, so the poor execution is not what I’ll focus on. However, had I known just how many of these “wantrepreneurs” would jump on the bandwagon, I might’ve created a separate business to help them along the way! Is there something you wish you’d known?